Ta-da! 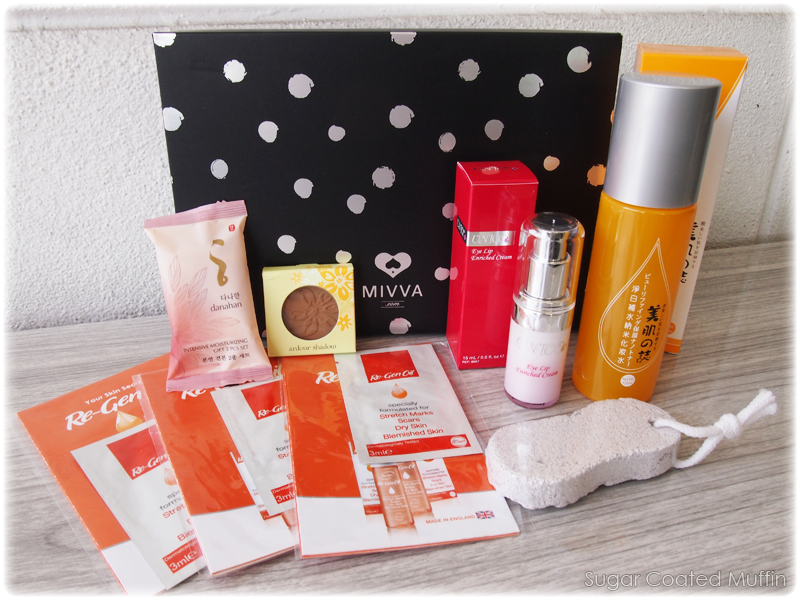 Here's the July Mivva box (my first Mivva!). I love the polka dot box so much!! 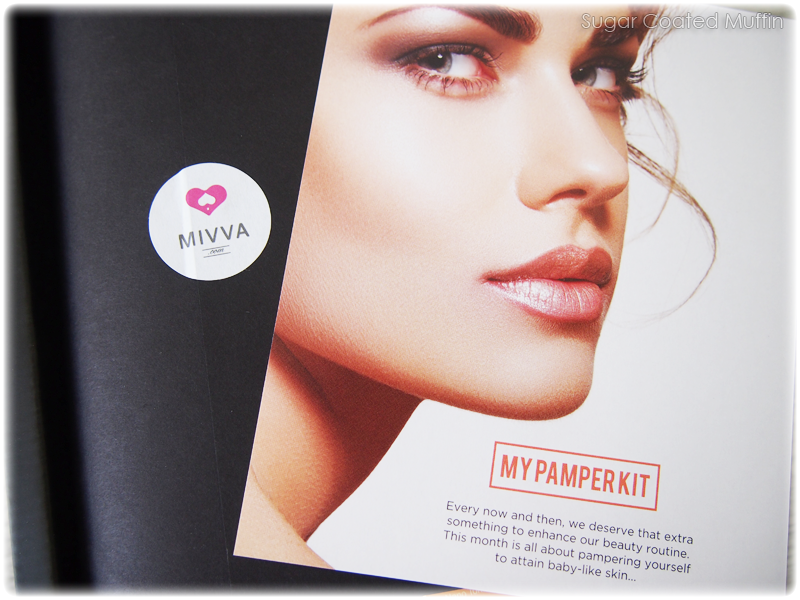 There are 3 full size products inside (excluding the stone which isn't in the brochure). 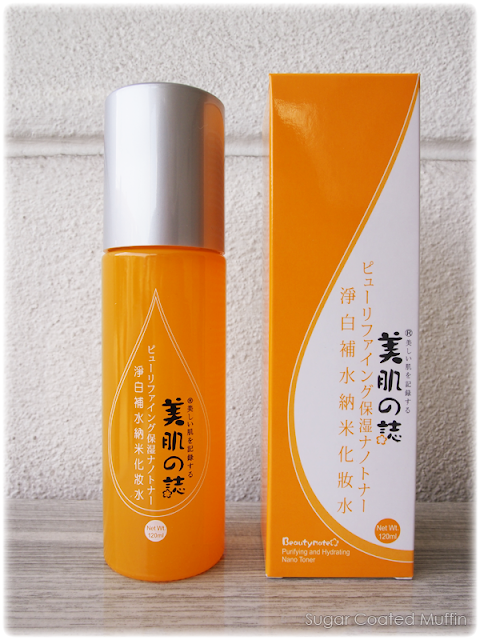 Gingko Biloba Leaf Extract helps to hydrate skin and encourages fast absorption of lotion. 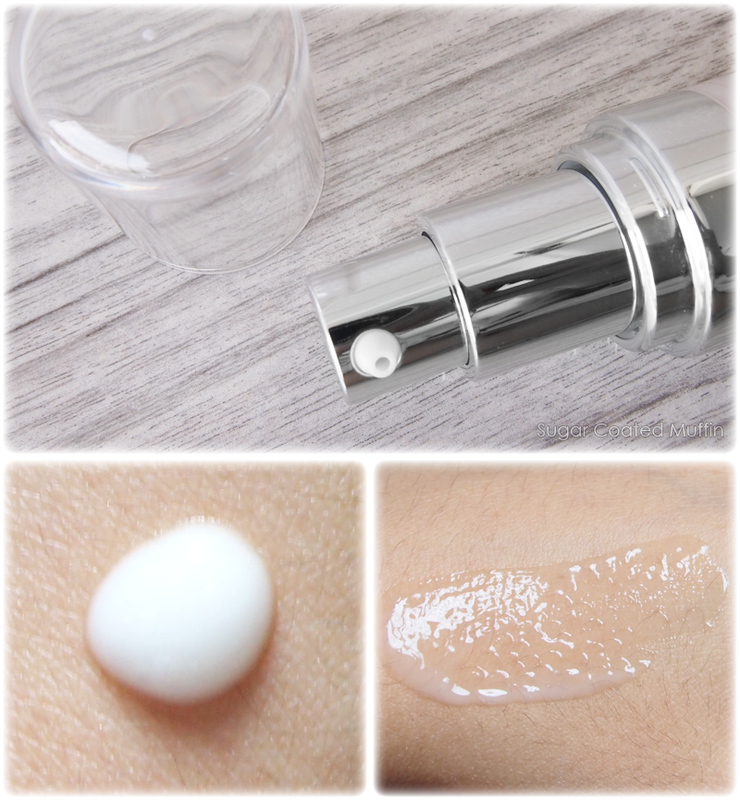 Hydrolyzed Pearl brightens skin tone and balances pH value, leaving skin soft and smooth. Glycoproteins increase moisture balance in cuticle up to 15+ hours. The different thing about this toner is that it comes in with a pump which is better to control the amount you want and to avoid mess when pouring out the lotion. 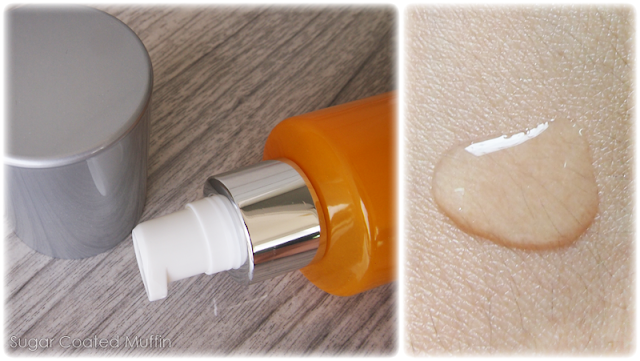 My skin drank up the watery lotion in seconds! True to its claims, my skin was left soft and smooth. Enhancing the biological function of the lymphatic system, strengthening the cell metabolism to eliminate eye bags, dark eye circles, bulging, puffiness and fine lines. Specially designed to block cell degeneration by scavenging the free radicals and epidermis mediators that could damage the skin tissue fibres. Sounds amazing eh? Well, I can't tell you if it works yet but I will definitely try it out to see if it can battle my panda eyes. 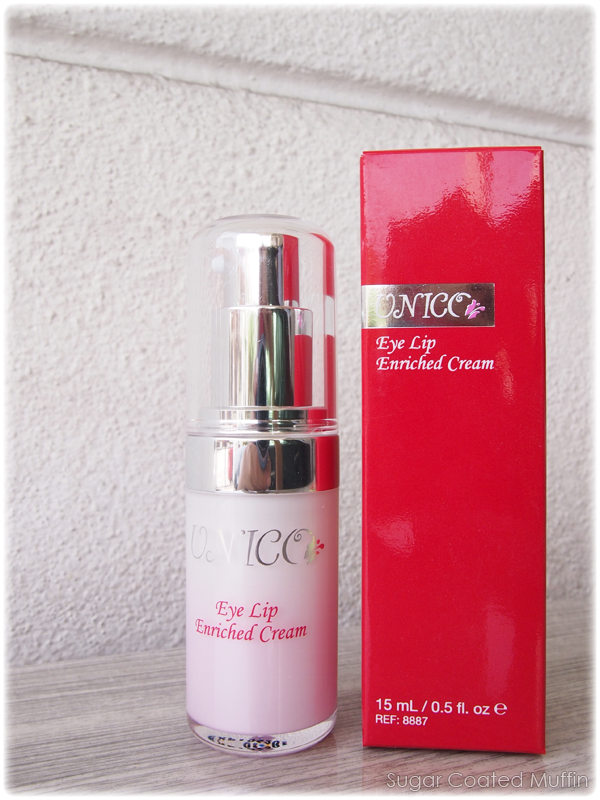 It is more gel-like than cream and isn't too heavy despite providing moisture to the delicate skin around my eyes. Works well under concealer. Available in 15 matte shades but mine is Sienna Gold. I saw someone receiving a lovely pink one that could double as a blusher! Well, mine can be multipurpose as well xD It's perfect to contour my nose with! At only RM 8, these are so affordable. Despite being matte, it can be pretty pigmented. Contains extracts from chrysanthemum Indicum Flower, Cyperus Rotundus Root, Red Ginseng, Hoelen alba, angelica gagas, white peony roots, chuanxiong and gardenia seeds which improve blood circulation and enhances skin's natural moisturizing function. Smells so good omg.. If you love the smell of Beaute de Kose products you will like this. It's a watery lotion that feels gentle on skin. Sorry but the hard bottle is such a terrible container for thick emulsions! 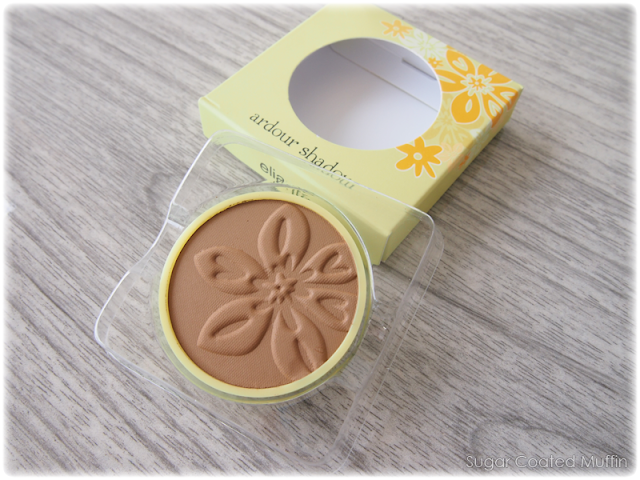 It refuses to come out and I can't squeeze it either =( It smells different from the lotion as it has a heavy floral scent. Feels nourishing on skin and isn't too oily. Promotes skin regeneration, rich in Vit A & E, provides moisture to skin, improves blemishes/scars and fights skin ageing! Contains natural ingredients like lavender, calendula, chamomile and rosemary oils. Estimated value of box is almost RM 170. At only RM 38 a month, it's so worth it! I am familiar with Elianto and Beautymate but I've never heard of the rest before so yay for introducing me to new brands! Subscribing for 3 or 6 months, writing reviews etc. also gives you Mivva Points to redeem a free Mivva box. 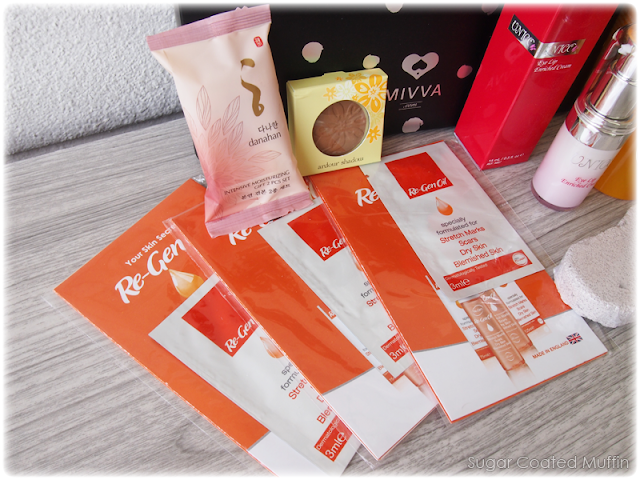 Click HERE to sign up for the August box! Not bad leh this box! :D The box is really cute, although it does remind me of TopShop makeup, lol. 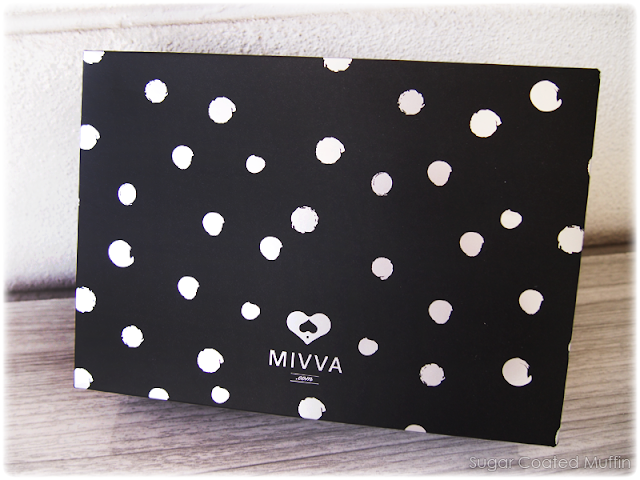 I like the polka dot box too.. So refreshing after seeing the same box for few months..